Catherine Reinis Lucey, MD, is the vice dean for education and executive vice dean for the School of Medicine at University of California, San Francisco (UCSF). She directs the undergraduate, graduate and continuing medical education programs of the School of Medicine and the Office of Medical Education. Dr. Lucey is on the executive management team for the School of Medicine’s Differences Matters Initiative and oversees other strategic initiatives for the School and the Campus. Dr. Lucey’s national portfolio of work includes membership on the Board of Directors for the Association of American Medical Colleges (AAMC) and the American Board of Medical Specialties (ABMS), where she has been able to influence the direction of Academic Medicine and the continuum of medical education in ways aligned with UCSF’s approach to education, culture and community. Dr. Lucey comes to UCSF from Ohio State University where she was vice dean for education for the College of Medicine and associate vice president for health sciences education for the Office of Health Sciences. She completed her residency in internal medicine at UCSF, including service as chief resident, at the UCSF-affiliated San Francisco General Hospital, after earning her medical degree from the Northwestern University School of Medicine. Session Synopsis: Academic health institutions play a broad role in the introduction and utilization of precision medicine, ranging from enabling research to creating the clinical teams and processes involved in care, establishing appropriate comprehensive data bases, and analyzing the clinical data. Each of these functions requires well-trained individuals. 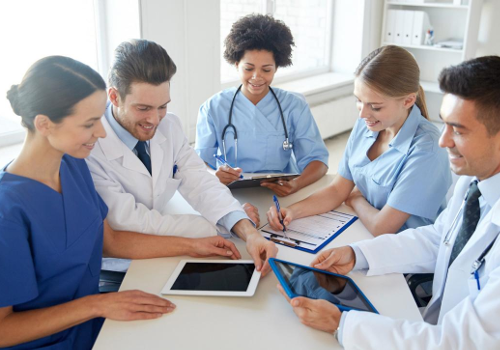 By academic health centers becoming operational in all these areas, the optimal nature and structure of the workforce to adopt and advance precision medicine will be defined.